Gonzo’s Quest is one of the proud slot games provided by NetEnt, which is a premier supplier of digitally distributed gaming solutions used by almost all gaming operators across the world. 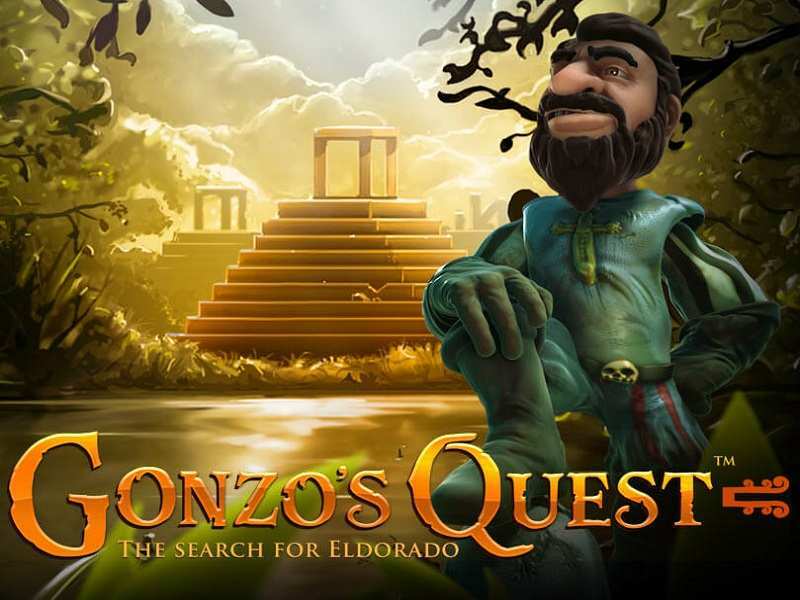 It is based on a treasure hunt for the city of El Dorado by Gonzo, who was a Spanish conqueror. Gonzo’s Quest slots come with 5 reels and 20 bet lines. The slot includes a different set of reels called the Avalanche reels. They are the usual reels, in fact, the symbols fall or crumble from above. If a line wins, blocks in that particular line and the supporting symbols too would crumble. Hence, the name Avalanche. The game is set against a background of a forest and pyramids of Aztec with a golden staircase. Gonzo himself shows up on the screen at times when you land a win. The symbols are minutely carved blocks, which are in varying colors. They are taken from the Mayan culture. How to Play Gonzo’s Quest? Gonzo is searching for a treasure in the lost city of El Dorado. The symbols are accordingly chosen. They are all Mayan blocks with different designs and colors. The Free Fall symbol is a scatter of the video slot. Three of such symbols activate the bonus A block with a question mark serves as a wild. Free Falls Feature: This feature is activated when you land with 3 scatter icons on 3 subsequent reels. You are given 10 free spins, which can be re-initiated. Multiplier: As long as there is a win, the multiplying factor increases in number from x3 to x6 to x9 till x15. Wild: A block with a question mark serves as the wild. Mask with a smiley: The smiling block makes you smile with 2500 coins for 5 of a kind. Mask with tongue stuck out: This symbol gives 1000 coins for getting 5 in row. Mask showing teeth: This block gives 500 coins for 5 in a row. Purple Mask with hollow eyes: It gives 200 coins for 5 in a row. The minimum bet for each spin is 0.20 and the highest bet is 50. The max coin payout stands at 2500. The RTP of the slot machine is generous with 96%, making the play very exciting. You can play free Gonzo’s Quest casino slot machine on any trustworthy and reliable casino sites, anywhere in UK. The Gonzo’s Quest online version is available for the players with no download needed. Like all NetEnt games, this slot game too is one among their best offerings. Wander through the jungles and get some treasure for yourself via Gonzo’s Quest, which is available for play with real money. The wonderful unique features, video, sound, graphics, everything about this free slot is irresistible. 0 responses to "Gonzo’s Quest Slot"
1 How to Play Gonzo’s Quest?